Visitor to Florida venue says ‘tequila’ shots he bought were plain old H2O with a dash of dye as concession spokesman calls it ‘an honest mistake’. As yet another Josh McCown pass sails over the head of a receiver and into the clear blue Florida sky, most Tampa Bay Buccaneers fans would be forgiven for seeking solace in alcohol. Unfortunately, they may have been denied this right over the weekend after the team’s stadium reportedly sold coloured water as alcohol. Miami Dolphins fan Troy Sykes, who was visiting the Raymond James Stadium to see his team play the Buccaneers, told WFLA-TV that he ordered tequilas for himself and a friend – only to discover the shots were water. 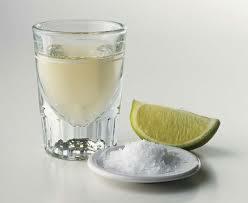 “The ladies next to us were drinking Cuervo, and we asked for a couple of shots of Cuervo. When they gave them to us, we took them and they were coloured water. That’s all it was,” Sykes said.